Saturday morning stared early- I am talking 3:50 a.m. early. My BRF and I stayed in Ocean City in hopes to not have to get up so early but with a 5:15 bus to catch, time was not on our side. We had alarms set for 4:00, 4:02, and a few more 4:0? Just to be safe. I ended up waking up before any of these alarms because obviously pre-race jitters kept me up most the night anyway. We got up, drank our coffee, discussed how we couldn’t believe how low the temps were and eventually loaded up to head to the Ocean City Inlet around 4:40. 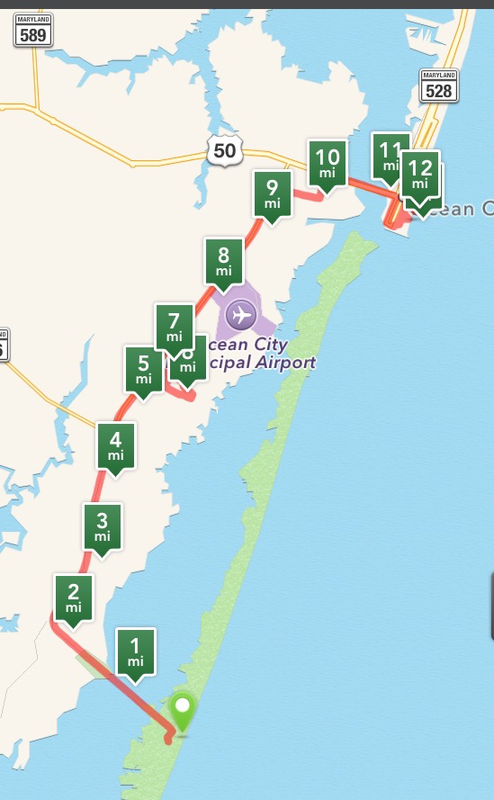 The inlet is where the race would end and we needed to catch a bus over to Assateague Island. 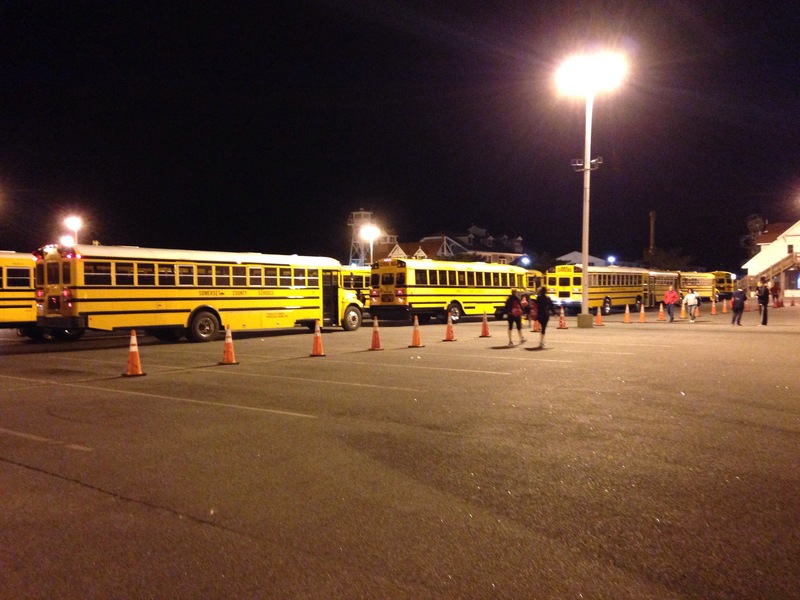 When we got to the dark lot filled with tents for the race and next week’s Springfest activities, we were greeted by a large fleet of busses. They had plenty of porta poties so we took advantage of the no lines and fresh potties. 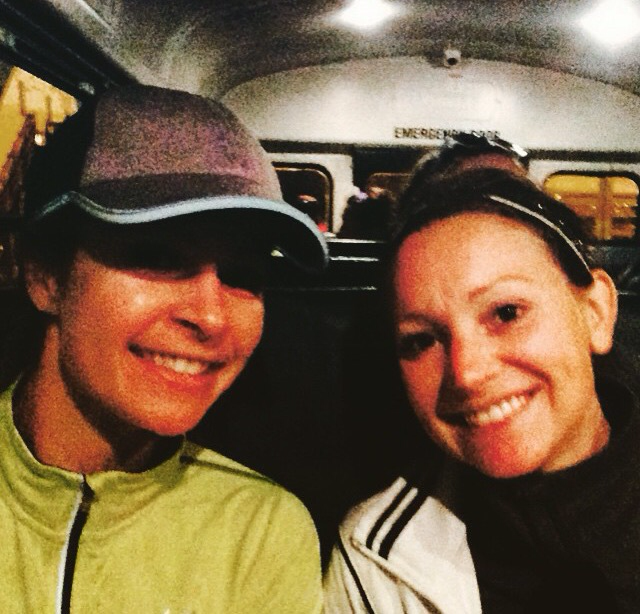 We boarded the bus around 5:00 and we anxiously awaited our ride to the starting line. 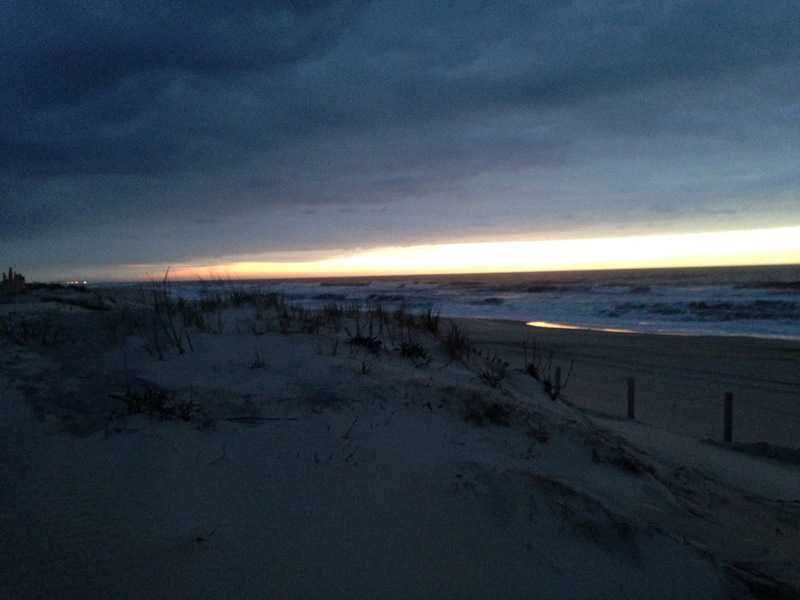 We arrived to Assateague to find a welcoming tent, lots of porta potties and the sun peaking out to say good morning. We found one of our friends running that day and we decided to hit the bathrooms one more time before the race would start in about an hour. By this point all the runners were at the start area and apparently in line for the bathroom. Two more of our running friends found us and we all had a case of the nerves. Now it was just about 7:00 and we began to line up to start. Shortly after the anthem we started our trek to Ocean City! The first mile ran us through the park and over the Verrazano bridge- I expected this to be more difficult but since it was in the first mile fresh legs got us right up and over that bad boy. It was a beautiful view and we began one of the two long, straight parts of the race. 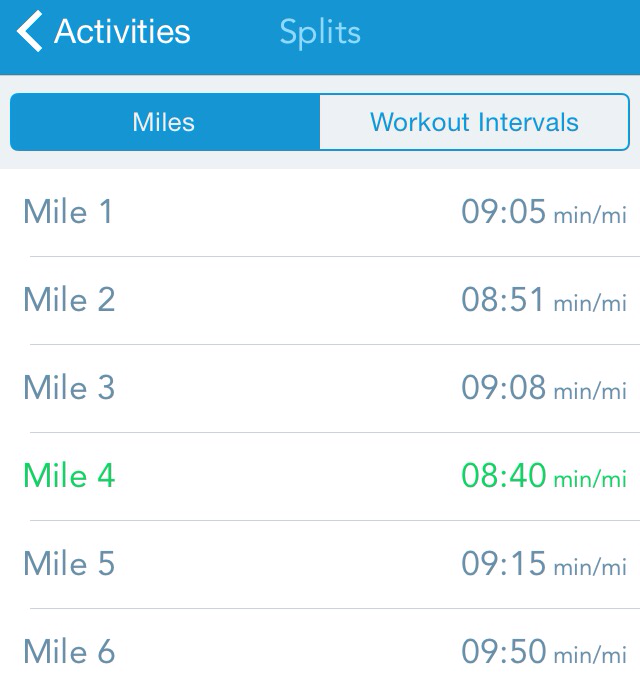 The first 5 miles I felt pretty good. Taking in the new route, trying to decide when I should take my long sleeve top off and wondering when we would make our first turn into a neighborhood. I ended up walking shortly after mile 5 to take my LS layer off and this ended up being my downfall. Once I stopped to walk and do this I lost my mojo. I started over thinking everything, got mad at myself for every short walk break I would take and became a mental head case! After the neighborhood we got back to straight stretch 2 which eventually took us to a right hand turn leading us closer to Ocean City. We went over the route 50 bridge and headed towards the Inlet. While most thought we were just about done I had looked at the course map the night before at the Expo and knew we still had to head north up to 4th street, before turning around and heading up the pier and to the finish. While I did find this part annoying there was lots of crowd support on the boardwalk. They also had the course roped off so casual walkers, bike riders and dog walkers did not get in the way. Once I made my way by the pier and down the finishing lane I saw the clock said 2:07 something… while the 2:00 goal I was shooting for was gone I could still push for that PR. I ended up having a finish time of 2:07:31. 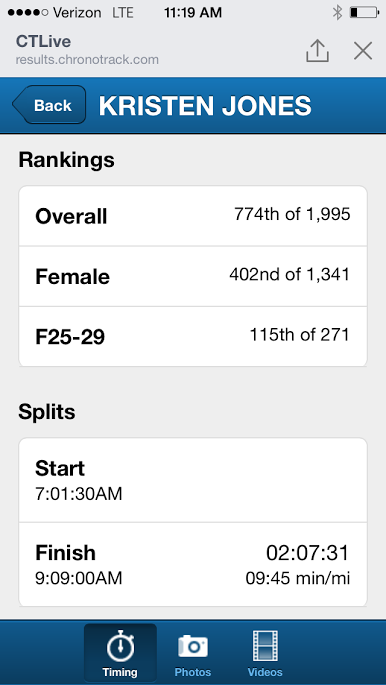 Not my 2:00 but technically my half PR. 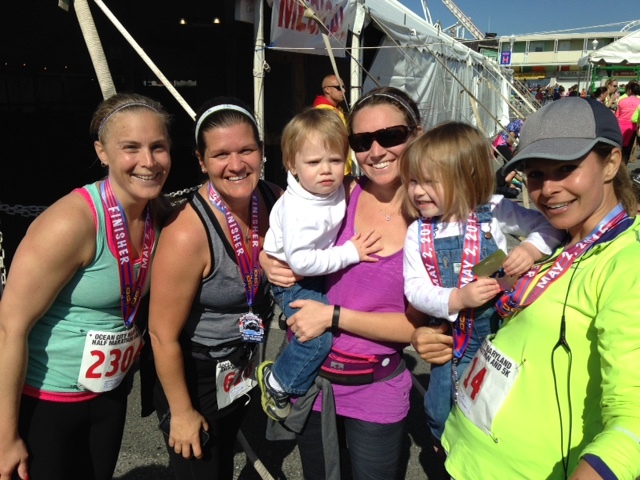 Once we finished we were all able to meet up, find our supporters and take some finisher pictures! We did not go and check out the after party mainly because I was just tired and hungry!!! 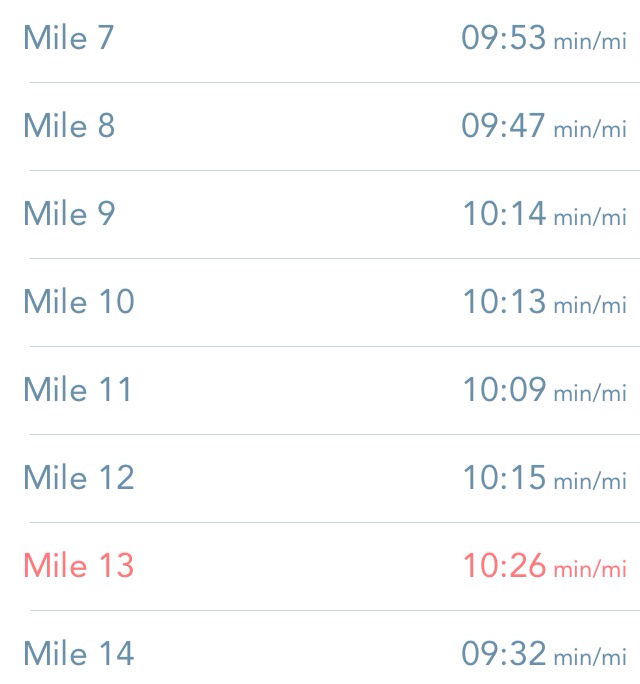 Overall I did enjoy this race once I turned my brain off and just ran. The event was very well organized and even the logistics of a point-to-point race were well thought out and made for a great experience. While I was bummed I did not get my main goal I definitely learned that sometimes enjoying the run is more important than the clock, splits or anything else. At the end of the day I did accomplish my other goal and that was to finish! 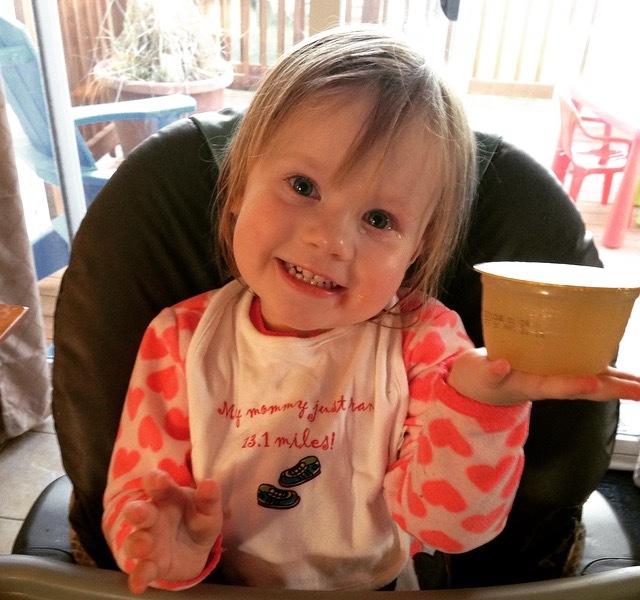 I even had my little cheerleader bragging about my accomplishment later that day (check out her bib: My Mommy Just ran 13.1 Miles). Now it is on to the next half: St. Michaels. 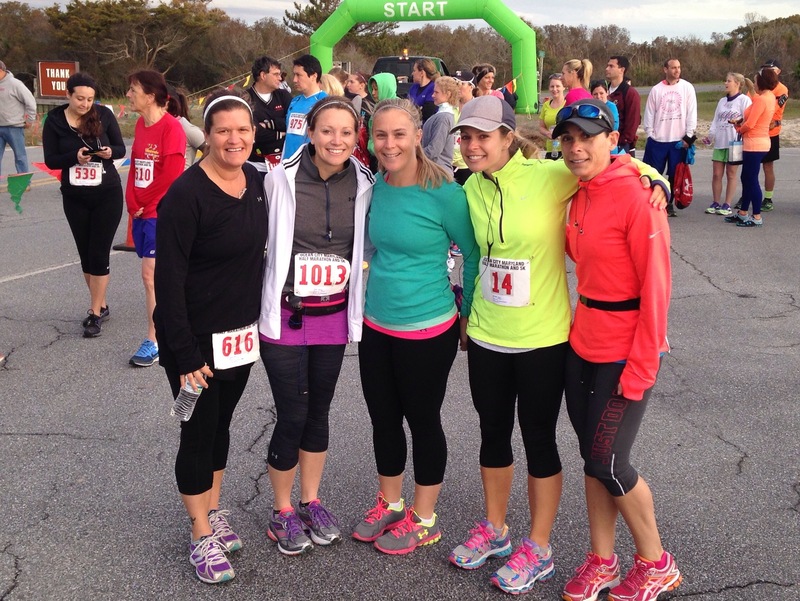 A new course, different group of running friends joining me and hopefully a run that I can just enjoy! Did you run this weekend? Have you ever let your mind take over a race, instead of your legs? It was a tricky weather day because it was pretty chilly at the start but warmed up! We did have a steady headwind the entire race which kept it from getting hot! Def pack the sun screen!!! 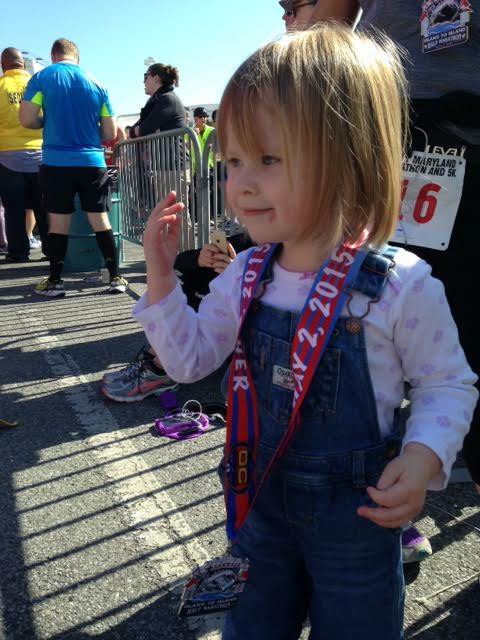 Congrats on running a great race – even if you didn’t quite get your goal time. 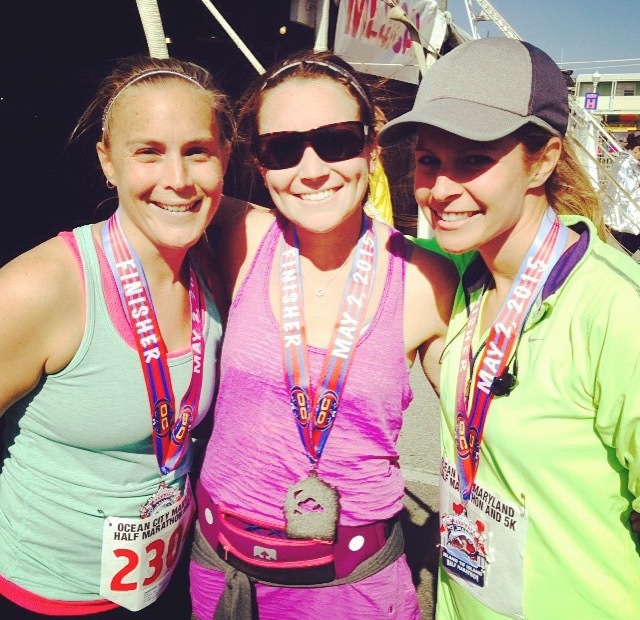 Like you said, finishing 13.1 is a HUGE accomplishment! Enjoy that! Enjoy the post-race glory. You deserve it! Thanks!! I am glad I did it! 4 more halves this year so plenty of time to work on my big goal!! Awesome! It’s refreshing to just have fun every once in a while and not worry about time, isn’t it? Great job on this race and your PR! 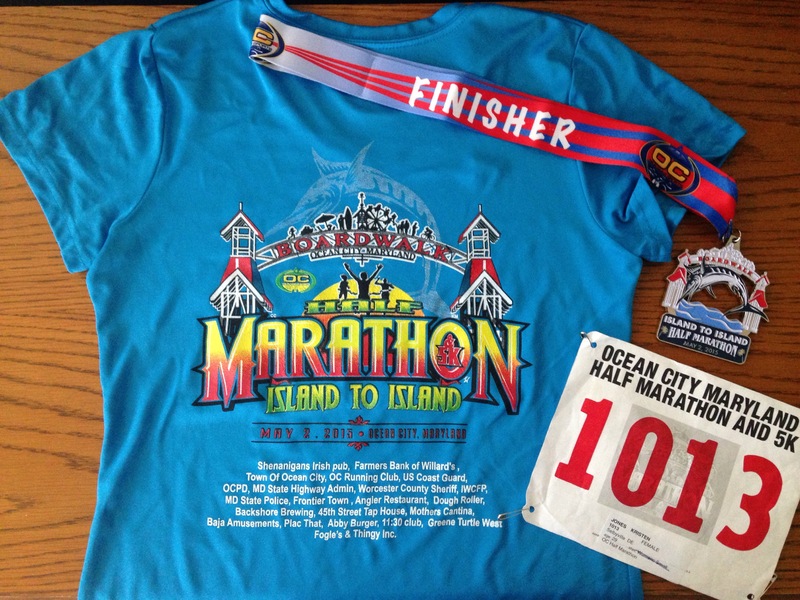 I have always wanted to run this race – my family used to go to OCMD every year when I was growing up, and I have so many fond memories of being there! It sounds like a great race and I’m hoping I can go home to visit my family in Philly during the spring sometime so I can run this! Thank you so much! It was neat seeing OC from a distance and catching little glimpses of boardwalk rides as we got closer to the finish! You should definitely plan to run it one year!